Sidney Rigdon: A Portrait of Religious Excess. By Richard S. Van Wagoner. 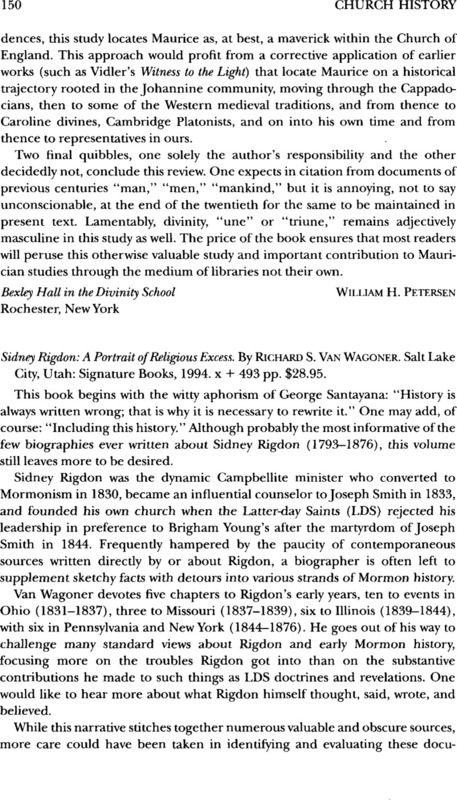 Salt Lake City, Utah: Signature Books, 1994. x + 493 pp. $28.95.